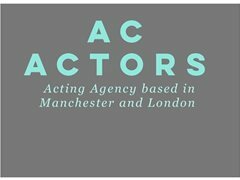 We are a vibrant and hardworking actors agency based in Manchester and London. We are looking for Spotlight registered actors to join our books. You most be experienced, over 18, and willing to travel for auditions. We are a sole agency. Please do not apply if you are not Spotlight eligible and don’t have professional headshots. Applications without cover letters cannot be considered. Actors must be 18+, experienced and Spotlight registered/eligible. Actors 18-25 with musical theatre skills. We also welcome applications from BAME actors of all ages. We do not represent extras. Please take a look at our website and if you see a ‘you’ shaped gap please get in touch.